Hi friends! I have to apologize because it's been awhile since a new blog post and I haven't been taking many new photos lately but honestly, I have been really enjoying summer! We really don't get much of a summer here, it's usually only really hot for 3 months so I have been spending every minute of it outside with our little family going to the cottage or in the pool. Seriously, I've been in the pool every single day this week, even the two days that it was raining! I really haven't felt like getting all glammed up, so this outfit was absolutely perfect! 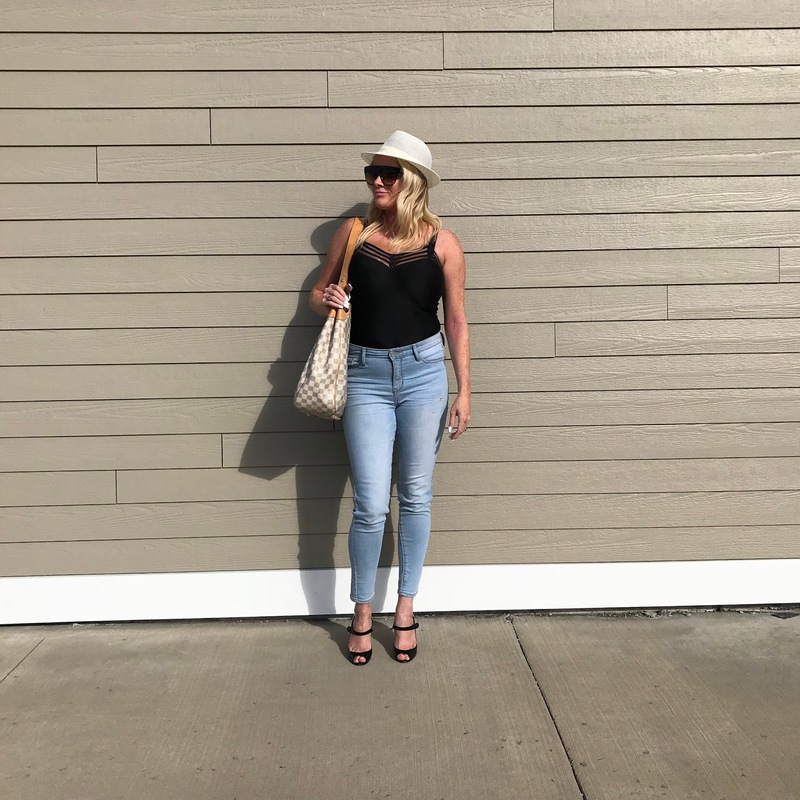 Throw on a cute body suit with my favourite new jeans, add some sunglasses and a hat and we're ready for the day! I finally found the most perfect jeans! I love them so much I bought two of the exact same pair. I would have bought more but they only had the two lol! They're from Marshall's but I'll link some similar styles below. What have you guys been up to this summer? Comment below! I hope you guys are enjoying the summer as much as we are! Go check out my Instagram too, I've changed up my photo editing and would love some feedback :)!